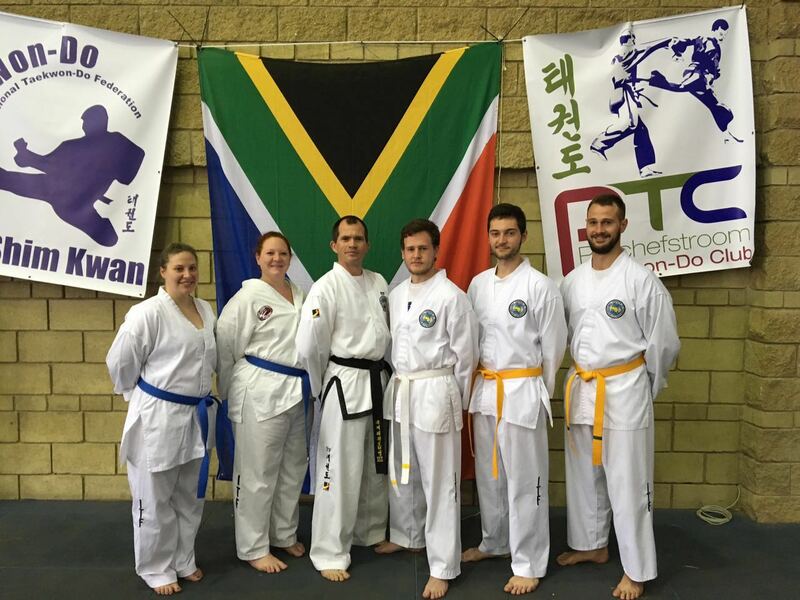 The South Africa Taekwon-Do Institute hosted its first annual national tournament on Saturday, 10 September. 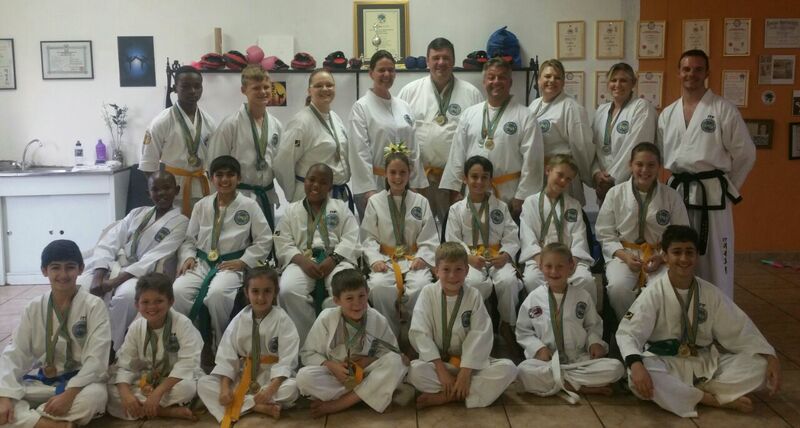 The two Soo Shim Kwan clubs, the Potchefstroom Taekwon-Do Club (PTC) and the Horangi Taekwon-Do Club from Groblersdal, participated in this event. Edrich Louw, Jakes Gous, and PW Conradie. PTC was represented by six participants and won a total of 11 medals (2 gold, 3 silver and 6 bronze) for their participation in the sparring, patterns and power breaking categories. The Horangi club entered 23 participants and won a total of 41 medals for their participation in the sparring, patterns, power breaking and special technique breaking categories, resulting in the Horangi dojang to position itself as the second best performing dojang of all the participating dojang. 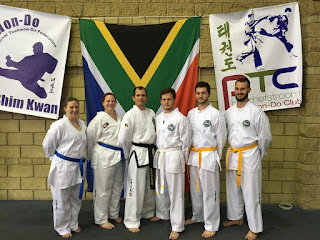 A big congratulations to instructors Philip de Vos and Gerhard Louw and all the Soo Shim Kwan students for all your hard work and positive attitude. Well done! Actually, this is from a book on the Chinese internal martial art Hsing-I by Robert W. Smith (Hsing-I: Chinese Mind-Body Boxing, 2003). 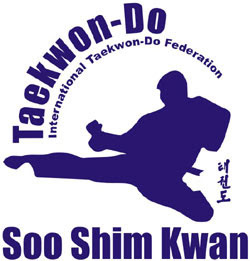 A main reason ITF Taekwon-Do's “sine wave motion” is so controversial is because the term is a misnomer -- it is not an actual sine wave. It may have been an attempt by General Choi who proposed the term to make it sound more scientific. We should keep in mind, of course, that English wasn't his first language, not even his second language (that was Japanese), and neither was he a physicist. I have heard accounts that he adopted the term after that is how someone else (an English speaker) described what General Choi was trying to explain as a “sine wave motion”. I don't know if there is truth to this, but I do believe that if another term than “sine wave motion” was used, even if it was just called “wave motion”, it would have been less controversial. To get back to the quotation above, it very accurately describe how the so-called “sine wave motion” is generally used for something like a middle punch: The body should be “relaxed until the final instant,” the rising portion is when the waist is pulled back, and it is during the falling that the strike happens. In another post from long ago, I looked at another Chinese internal style, Chen style Tai Chi Quan, and noted some similarities with the way we understand movement in ITF Taekwon-Do.